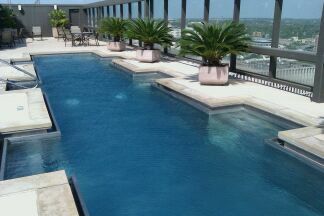 The pool at the Omni Hotel in Austin. The aluminum liner makes it feel a little like swimming in a giant water trough... hooray for the Wild West!! 5 minutes to boot camp!! !